Gather around folks for the "Battle of the Pre-poo's"
Burt's Bees definitely beats Ojon in the price category. As far as the ingredients are concerned, Burt's Bees is an all natural product and so is Ojon but Ojon's main attraction is Palm Nut Oil. Before you guys start googling where you can find Palm Nut Oil, I will tell you now that it's pretty much impossible to find. Word is that the Ojon folks have the exclusive rights to this ingredient. You may find Palm Oil but that isn't exactly the same as Palm Nut Oil. Their featured ingredient is said to have the ability to penetrate the hair shaft nourishing from the inside out. Hence the name "restorative mask". So for this round, Ojon has it! Next let's talk about scent and texture. Both products have a thickness consistency similar to a hair grease. And both are able to melt easily into the palm of the hand just by the simple act of rubbing hands together. One, however stands hands and shoulders above in the scent category. Burt's Bees has a fresh pleasant smell that makes the entire experience that much more enjoyable. Ojon, on the other hand, has a scent that reminds me of a smoky pool hall. There's nothing like intentionally making your hair smell like you spent the evening in a smoke-filled room. 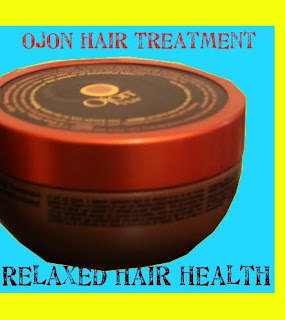 I could let Ojon get by with the "natural" scent only if the scent completely disappeared after washing. Sadly, this wasn't the case. Although the scent was not a strong after washing, I was still turned off by the experience. Another score for Burt's Bees. Okay, so let's talk about what really matters. The results! I gotta hand it to both of these products. Burt's Bees and Ojon are both high quality created by reputable brands. But for some reason, I feel like Burt's Bees is more of a "regular use" type of product while Ojon seems like more of a "once in a while" treatment option. Both produced good results for me but nothing can compare to the excitement I felt when I first used Burt's Bees. I knew from that day that I had found a product for life. Ojon, on the other hand, I would describe as "nice to have" product more so than a "need to have." I also feel like BBs is more of a moisturizing product while Ojon leaned a little more towards strengthening. Bottom line, both products do what they claim but I feel Burt's Bees is a much better purchase if you compare their price, result and scent. For those of you curious about Ojon, like I was, I think you can ask for samples as your local Sephora store so you can try it out for yourself. Burt's Bees pre-poo can be found at Ulta's. 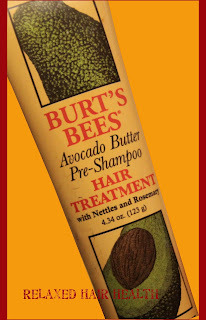 I used to LOVE Ojons, but I switched to Burts Bees (mainly because of your blog!). I did feel like Ojons was much more restorative, and now that the health of my hair has improved dramatically, I feel that the BB is sufficient. Plus, it really is lighter on the wallet. On another note, I think I prefer BB because the product line as a whole, seems more natural while I do not like some of the ingredients listed on Ojons other products. Oh, there is a small jar of Ojons for $21 for the curios folks who don't want to spend $60. And sometimes, you can get a good deal on QVC. Lol I liked your "Battle of the pre-poos". I have some Ojon sitting in my cupboard. Thanks for reminding me, I'll have to go dig it out and give a try. I agree with you about the price though- très cher!! Well written review. I agreed with EVERY aspect of your review. I used Ojon for a couple of years and you summed it up when you said it's a "nice to have" but not necessarily a "need to have" product. Well written post (as always) I loved your thorough review and honest opinion. I will continue to use my beloved BB...the price of the Ojon is enough to turn me away! Blogs like this I adore. Please give us more. I use Burt's Bees but have researched Ojons. I know this post is half a year old but I just came across your blog and wanted to mention that palm nut oil is also known as palm kernel oil. Ojon doesn't have special rights to it. There is a difference between palm oil and palm kernel oil: one is from the fruit and the other from the seed of the same fruit, respectively. I've found palm kernel oil online at places like mountainroseherbs.com and zooscape.com for reasonable prices. I think your blog is great and informative. Perhaps if you get your hands on the oil it may be a contender in a new "battle of the pre-poos"!